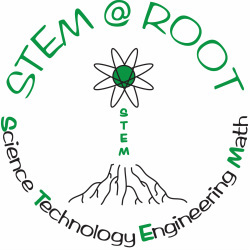 RaCCOONS ArE GeNIUS with STEM @ Root 2013/2014! 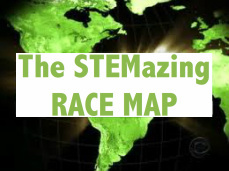 The STEMazing Race Map outlines lots of exciting STEM Stations to visit throughout our school-you earn a stamp on your Root ELEMENTary Table for every STEM Station you visit! For every stamp you earn, you also get a chance to win the STEM @ Root Magical Mystery Tour Drawing! Use the symbol letters you earn to decode a secret message to find out where the Magical Mystery Tour is going this year! Get your STEMazing Race Map and your first stamp of the night at this station! Don't forget to write your name on your map! For every stamp you receive you earn a chance at winning the Magical Mystery Tour. 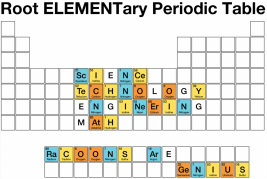 Decode the Top Secret Magical Mystery Tour destination by visiting all of the STEM Stations and collecting the special Root ELEMENTary letter symbol stamps! An Extravaganza of 15 Hands on STEM Stations lead by NCSU Engineering students!! It’s hair-raising fun with our electrostatic generator! Children will see indoor lightning and get a chance to test out our Van de Graaf machine. This station makes for amazing pictures! Wake Robotics student volunteers bring hands-on robots of various sizes to learn about and drive; and technologies to explore like the Makey Makey and a 3D printer. Can you make plastic out of milk? Does the bar graph show diet coke or coke has the tallest explosion? Find out those answers and more by playing the i SPY Game with the 3rd Grade STEM Fair projects! Interested in biology, medicine, and engineering? 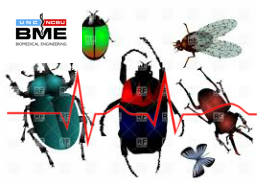 Come learn about the field of Biomedical Engineering from the NCSU BME club. See how electricity is produced and travels through your body from your heart and brain. Learn about and measure your own electrocardiogram (EKG) by putting electrodes on yourself! Learn about the brain and neural systems through live demonstrations on BUGS! Learn about the latest advances in medical and surgical technology. 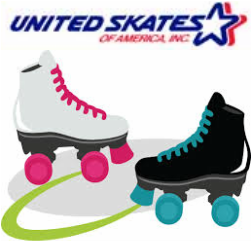 STEM @ United Skates of America! Come see how Roller Skating and STEM relate! Learn about force and friction and get to assemble a roller skate! Root's favorite Chemistry Professor is coming back for some Cool Chemistry! 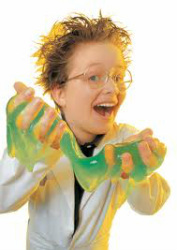 Make some slime and learn about density. You never know what Dr. Levine will do next! Visit STEM Station #8 to find out! Could you break out of jail using toilet paper? Can Pepsi clean a penny? 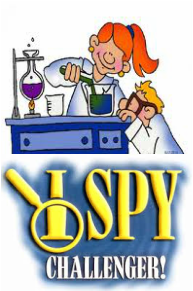 Find out those answers and more by playing the 4th grade STEM Fair i Spy Game! 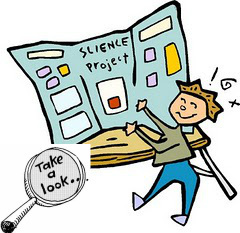 Enjoy exploring all the 4th grade STEM Fair projects! 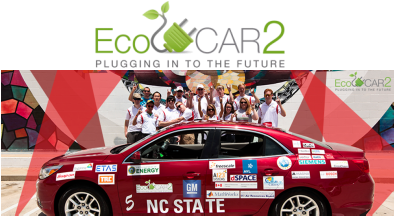 Check out pictures of the NCSU EcoCAR 2 and learn how it's different from your family car! The EcoCAR 2 competition is a 3 year collegiate automotive engineering competition that challenges 15 North American universities to reduce the environmental impact of vehicles by minimizing the vehicle's energy consumption and greenhouse gas emissions while maintaining its utility, safety and performance. Are pop rocks and coke a lethal combination? What is hydroponics? 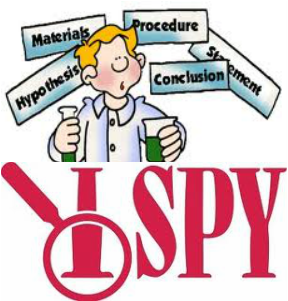 Find out those answers and more by playing the 5th grade STEM Fair i Spy Game! All of the 5th grade STEM Fair projects will be displayed for all to see. get your last stamp and turn in you Magical Mystery Tour Ticket! Be sure to use the Root ELEMENTary letter symbols you collected to decode the TOP SECRET Message! Mystery Tour Tour is going this year yet? at 7:30 pm in the cafeteria. Drawing will be on Friday, March 28th! Come to the cafeteria at 7:30 pm! 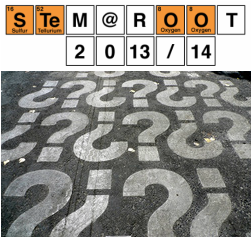 STEM @ Root Magical Mystery Tour! 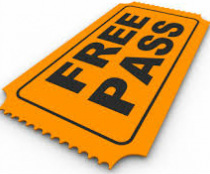 Directly following, STEM Fair Awards will be awarded to all of our STEM Fair Participants!